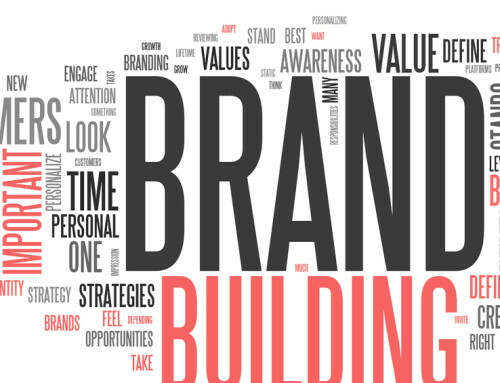 The benefits of having a strong brand can be seen across all types of business. Brands help us choose the car we’ll drive before we’ve even taken a test drive, it helps us choose the places we eat at before we’ve taken a bite and it helps us choose where we shop even if it might be cheaper somewhere else. Brands can be incredibly powerful in helping consumers chooses from the dozens of options available to them when searching for virtually any type of product or service. Still not convinced? Are you to be seen in Waitrose on a Saturday morning or LIDL? What did you drive to get there? Why are brands critical for insurance marketing? Given that brand values affect our buying decisions every day, it follows that the merits of having a strong brand can be particularly useful to the Insurance Broker. Even more so if we accept the argument that the brand values of the Insurer’s products you sell are relatively unimportant in the eyes of the client these days – particularly in commercial lines. For years many insurers have eroded their brands by promoting themselves on (cheaper) price alone, and aggregators have encouraged consumers to switch every year, and this has taken its toll. It follows that the brand value of the Broker has never been more important in the sale of Insurance. 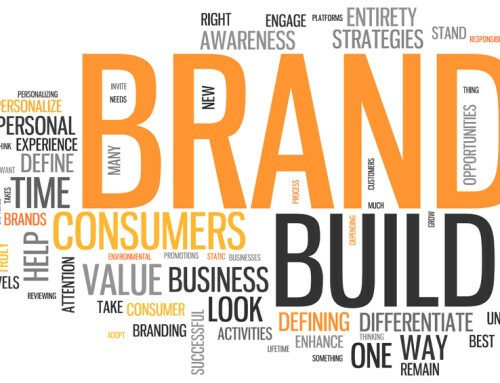 To recap, in our first post on branding – What is a Brand? – we described your Brand as your company’s “persona”, it’s how your customers perceive you and everything about the services that you provide. If you compare the brand role of a Broker to that of an aggregator, the role of a Broker is really quite different – or at least it should be. Aggregators provide an immediate (transitory) service based on getting a cheaper price. A Broker is selling risk management services where product purchase is just one (relatively small) part of the service. Does an insured ring the aggregator for advice and help if a claim incident occurs mid-term? We think not. If your clients perceive your service as just about getting the cheapest price, then you may have some brand challenges to address. 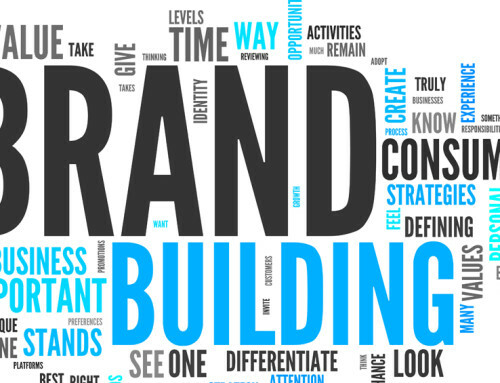 What makes a great insurance broker brand? It is critical you understand your brand and what you stand for (see our previous post – How to build a brand), you (and your staff) need to live it and believe it so that your customers can understand and buy-in to your values as well. Many Brokers have forgotten, or in some cases never really understood, why customers use them as opposed to going direct to an insurer, using an aggregator or for that, matter using another Broker. If you’re not sure, ask your customers, you might be pleasantly surprised by the answer. Typically the feedback will be “you may not offer the cheapest quotes but the service and advice you give is much more valuable than the price points of a specific policy”. It’s a people, business not a product business. The value of your service should not be just measured on product price, but on your overall value to your customer. The service and advice you provide are crucial should a customer need to make a claim. Make sure your brand values sell the importance of this. Building and promoting a reputable brand that your customers want to engage with is the first step in moving from commodity, to a valued service even to a necessity. The aim is to change the client’s view of insurance as a once-a-year obligation to an annual service that helps protect them, their possessions and their business. A strong, reliable brand image will reinforce the value of your services both before and after a policy has been taken out. Positioning yourself as a provider of knowledge, and a trusted advisor on what risks a customer needs to protect against is a primary goal. Not all risks are apparent to a consumer or business owner; cover for liability or theft of possessions might be obvious, but cyber liability and business interruption may well not be and can be equally important. It is important for your customers to understand that your job doesn’t finish once they’ve purchased their insurance. If they need to claim, you will be there for them to help or advise where necessary. Again, a strong brand with a focus on what you as a company stand for, whether this is risk management, advice, claims management or even easy communication, it will help sell your company as a business to partner with. Having your clients understand what your values are, can help them place value on the work that you provide. Perhaps even pay for it as a service! Need some assistance with your brand? Our insurance marketing agency could help. Understanding your own value proposition as a Broker is the key to getting your customers to understand and value it too. If you need some assistance Quotall’s insurance marketing agency is here to help. You need to identify the services you provide over and above that of selling insurance, recognise the value they represent and use them to promote yourself as the Insurance Broker to work with. Once this is done, this needs to be communicated consistently and effectively by yourself and your team through all the media that you use – on your web site, in your written communication and in your conversations with your clients. If you are able to clearly articulate your brand then congratulations, you are in a minority, you probably stand out in your market and you are probably growing. If not, maybe this post has been of some assistance in helping you to take the first step to addressing the challenge. If you have any queries about your brand, or would like to discuss ways of effectively promoting your brand, please contact the insurance marketing experts.